ALL INCLUSIVE LUXURY, WE CAN GET YOU THERE! Sandals Resorts International (SRI) has done it again! 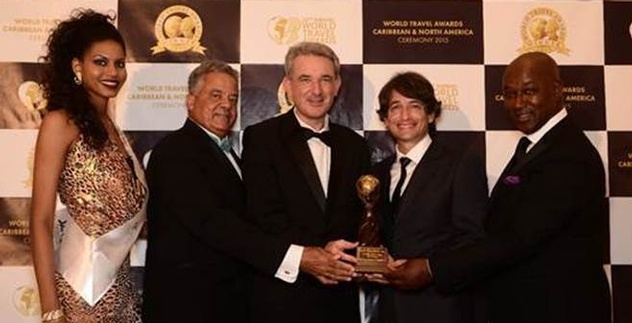 The resort company was honored with prestigious recognition at the 22nd Annual World Travel Awards’ Caribbean & The North America Ceremony, held on October 17, 2015 at Sandals Emerald Bay Golf, Tennis & Spa Resort in the Bahamas. SRI once again received the notable recognition of Caribbean’s Leading Hotel Brand, thus earning this title for 22 consecutive years. The WTA were established in 1993 for the express purpose of acknowledging and celebrating achievements in all areas of the world’s travel and tourism industry. This year’s voting campaign reached a total of 183,000 travel professionals worldwide in more than 160 countries. The WTA will culminate with the Grand Final Gala Ceremony taking place this December 12th in Morocco. Discover all that these unique resorts have to offer by visiting www.sandals.com andwww.beaches.com.